” I ” movie review and reasons why if you don’t like it, atleast don’t hate it!! So, ok the other day after a hectic wedding schedule wanting to relax, I planned to catch up on the latest vikram flick…”Ai ” a.ka. 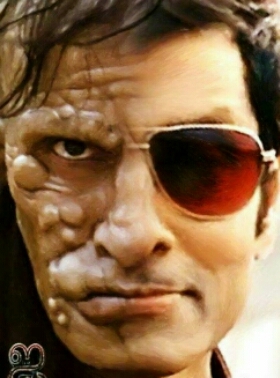 “I” meaning ” Beauty” according to the films director Shankar. I am not a bigguhh Tamil film buff, but once in a while wouldn’t mind catching up on a nice Romcom or an intense action/horror flick on Tv or download it. The film began and I was all awestruck by Vikrams performance, the film’s heroine Amy Jackson too did a pretty decent job, being a foreigner and trying to lip sync and act out the scenes in an alien language is quite a difficult task, given the fact that she had to adopt the South Indian body language too, Shankar has extracted most of her beauty and of course her acting skills. She looks ravishing in all the scenes, a visual treat to the movie goers especially the lads and her intro song LADIO..ohh was awesome..( sounded like a mix of Lady+ Radio= Ladio??! 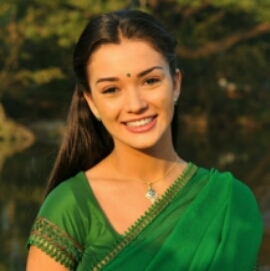 !..whatever it was a peppy number and caught on) no heroine could ask for a better intro song in a shankar movie, though I remember seeing Amy Jackson in an Arya film called Madrasipattinam, I guess this film will highlight her career in the southern film industry, her journey from Liverpool to Chennai being quite worth it. ” Ennodu nee irundhal..” fondly called as the ” Beast song” due to Vikrams potrayal as the beast with magnificent deep blue eyes, beautifully choreographed with an amazing set and make up!! All credit to Vikram and the Weta workshop of The Lord of the rings fame. Enough said and done about the sets and make up, coming to Vikram, the man himself, an amazing transformation, what dedication and discipline and not to forget his down to earth attitude in his promotional interviews. 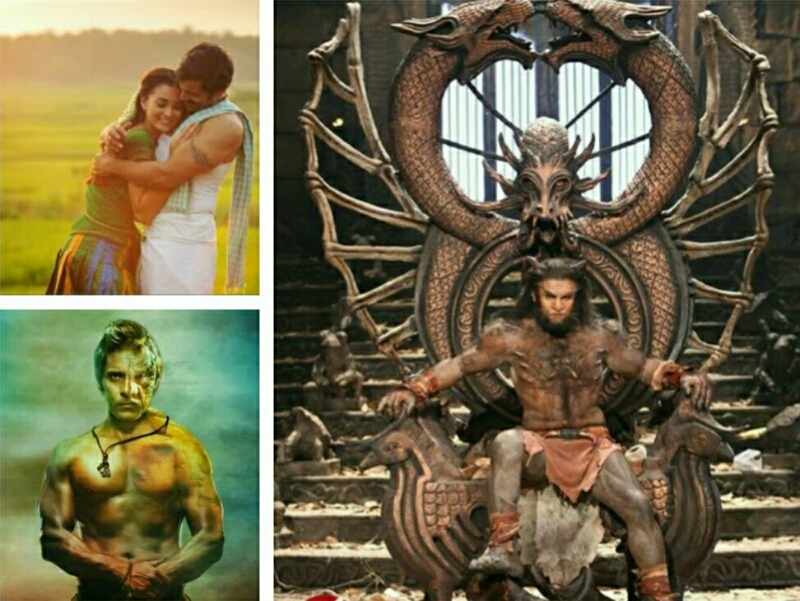 I guess it’s quite tough for people to do what he has tried, I mean Of course he must have had the best support in the form of gym trainers and dieticians and make up but putting your body through the rigorous changes and actually being mentally prepared for it is quite amazing, his acting combined with Rahman’s music creates magic. I am no professional critic, just a common movie goer and so typing my views, people who call themselves critics, criticise and scrutinise each and every aspect of the film, be it the acting or the transgender community issue all for what? Why can’t people understand that it’s just a movie dude, made for entertainment not for dissection purpose that you extract and examine each and every part of the movie and try and apply logic, it is the critics job alright, they get paid for it, but just spare a minute before you pen down rash thoughts,think of how much hard work has gone into each picture and scene, it’s not just this film even the recent Hindi release ” PK” and many such films being targeted ( sometimes I wonder if it’s just a publicity stunt) anyways I feel what has happened to the common man’s thinking…Why dissect a film in depth?? Why can’t you just sit back and enjoy the hard work someone has put for 2.5 long years just to entertain you!! I mean ok, of course your paying for it but then it’s a movie so enjoy it like a movie and not a Nat Geo channel of truth and discovery and keeping the logic and stats in mind, logic doesn’t work when it’s a movie, its more of a fun fiction so sit back and enjoy and not point fingers, appreciate someone’s vision brought into life, the effort and time spent, it is just costing you a minimum of 200 bucks, why apply principles and logic here, being a Doc I know that Influenza virus is logic and is existent but is there an ” I virus” as shown in the movie?? or is it just the Avian Influenza virus labelled as ” AI virus” , which is prevalent in birds and rare, almost nil in humans..I can go on and on about it but…see why break your head about it ?? It’s just for fun and entertainment so enjoy the labour of the people involved. So anyone interested in reality and facts and logic this film isn’t for you.